Update: I made a web app for this program hosted on PythonAnywhere. Here’s the link: Mini Cactpot Calculator. It does the same thing as this program but it looks much better and is more user-friendly. 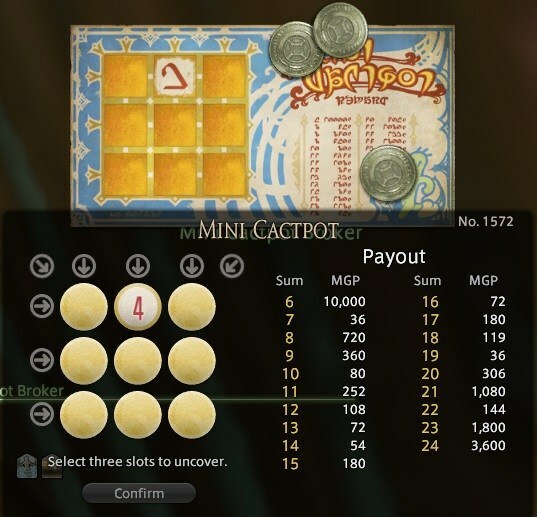 Final Fantasy 14 MMO has a minigame called Mini Cactpot The ticket plays out on a three by three matrix with numbers from one to nine. The interesting thing about the game is that you cannot reveal all the possible numbers on the ticket. You get a number for a new ticket and can scratch off three additional numbers. Therefore the ticket still has five hidden numbers that you have to guess. Hangman is a popular game to implement in programming. You can test your knowledge of concepts like string, boolean, and input when creating the game. It’s also a fun project to do because you can play the game with your friends afterward. If you don’t know about the game, you can read more about it here: Hangman. First, you can play around with the interactive console below to see how the game works. Feel free to modify the code, we’ll be going over them. This blog was created with Architect theme and generated by GitHub Pages.